As one of Britain’s best live bands Stereophonics have been touring and performing to sell-out crowds across the globe. 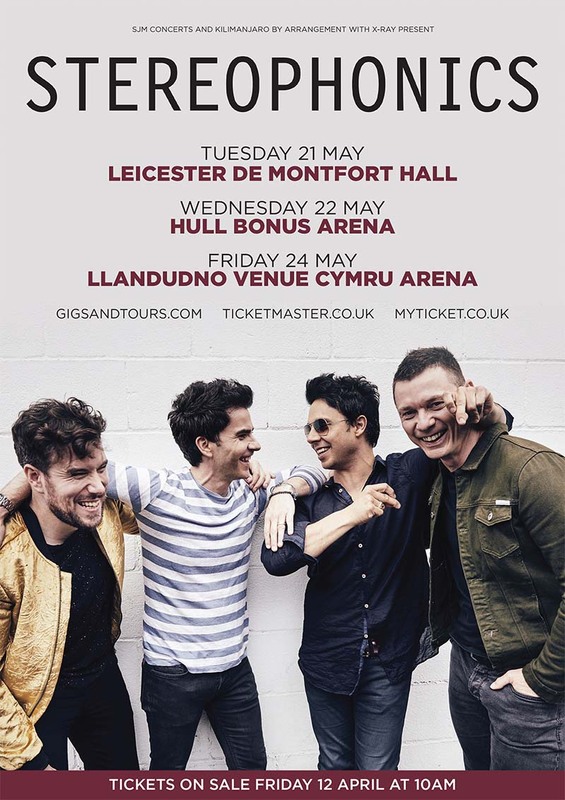 This summer sees Stereophonics performing at This Is Tomorrow Festival, Westonbirt, Eden Project and Lytham Festival, and their massive show in Singleton Park, Swansea which sold out in ten minutes. Stereophonics frontman Kelly Jones will also be embarking on a solo tour.